PE Capture Svc is the service-only version of PE Capture software application. It allows you to capture, via the service, all PE files (such as executables, DLL modules and drivers) loaded in the system. It can save a log file with the date/time, fully qualified file path and file hash to easily find the location of a captured PE file. To save performance, the program logs\captures PE files uniquely (using a caching method). system is captured, not just ones that are loaded. Effectively capture any PE file (executables, DLLs, drivers) loaded in the system. 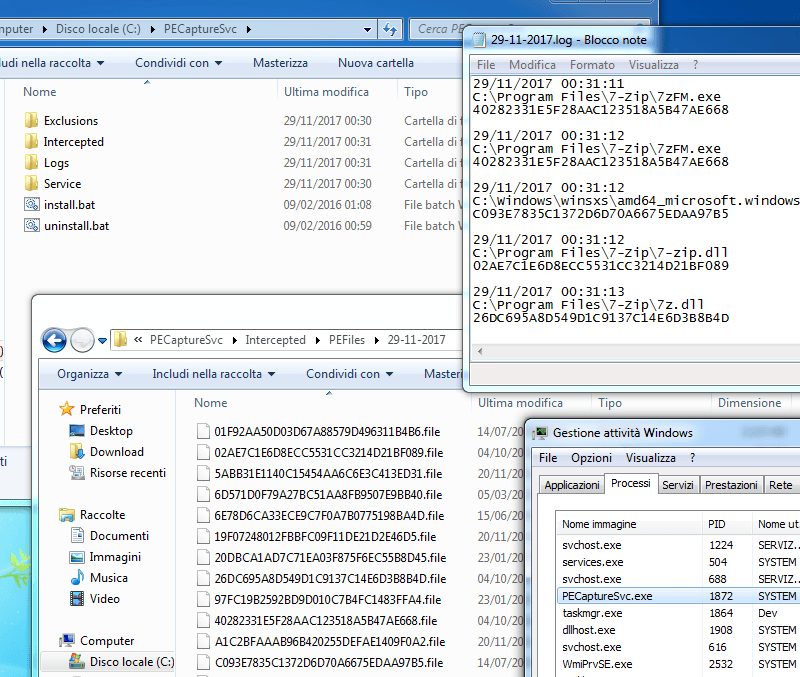 Save detailed log files with date/time, fully qualified file path and file hash. Just install the service following the instructions and that's all. see how it works and how lightweight it is.